Since 2014, Puentes has organized meaningful and engaging internship experiences in Buenos Aires, Argentina, and in May 2019, we are launching a pilot program in Montevideo, Uruguay. This guide will help you to understand the similarities and differences between the two destinations and our internship programs in each city. Called the “Paris of South America,” Buenos Aires is one of the most cosmopolitan cities of South America. Life in Buenos Aires can be a stimulating international experience, while simultaneously seeming familiarly modern. The cultural offerings are endless - see great Latin American art, cheer along with the “hinchas” at a lively soccer game, move your feet to live music, and more. Buenos Aires City has a population of 3.5 million people, so it is the bustling hub of the country and offers a fast-paced backdrop to work and life. Buenos Aires is a great destination for people who are drawn to the hustle and bustle of big cities, who are comfortable navigating city life, and who are excited by metropolitan, apartment building living. As the southernmost capital city in the Americas, Montevideo has pleasant weather year-round, and it is ranked first for quality of life Latin America, according to Mercer’s report. Montevideo is the country’s capital city and is home to 1.3 million people, which is almost half of Uruguay’s population. There are a nice variety of activities, since Montevideo has a vibrant music, theater, and arts scene, as well as many museums, notable sports teams, and outdoor leisure spaces, such as the “Rambla” that runs the whole coastline of the city. The city also has an international feel to it, thanks to its many cultural centers and its role as administrative headquarters for Mercosur and ALADI, Latin America’s trading blocs, which has led to Montevideo being compared to the role of Brussels in Europe. If you are looking for a pleasant and comfortable city with a calm feel yet plenty to do, Montevideo is your ideal destination. Both cities offer affordable living costs, easy to use public transportation, and safe and livable atmospheres, for Spanish and non-Spanish speakers alike. In both Buenos Aires and Montevideo, we have curated internship opportunities with meaningful work and close supervision at high-performing nonprofit organizations, government agencies, and businesses. Both cities offer professional experiences in diverse fields of work, ranging from educational and human rights nonprofits to healthcare agencies and tech companies - with many other industries and roles in between. Additionally, in either city you can pursue internships that can be conducted in Spanish or in English. On our Internship Portfolio, you can explore the different internship opportunities by country, as well as by sector, industry, role, and Spanish level. 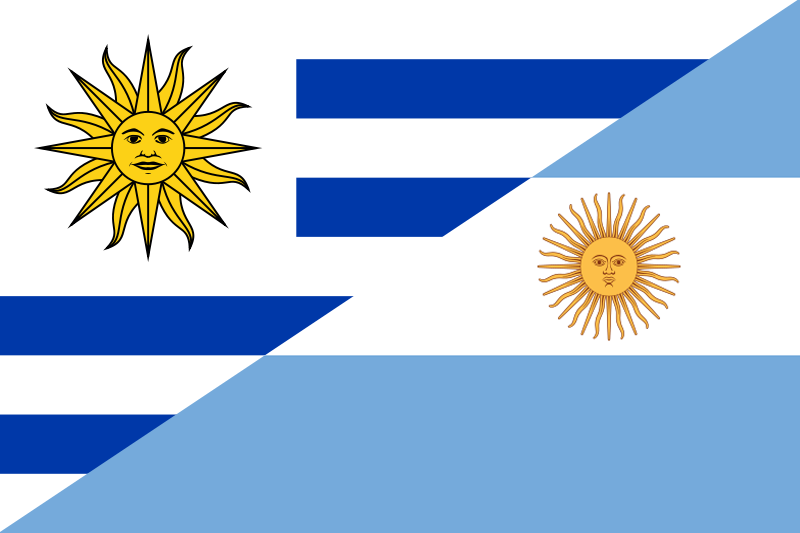 The program fee for Buenos Aires depends on the duration of the internship and the housing type chosen. The program fee chart can be found here. Prices range from US$3,955 for an eight-week program in a student residence to US$5,355 for a twelve-week program in a homestay. The program fee for Montevideo is US$2,450 per participant. This lower price point is due to the fact that housing is not included, there are fewer, planned professional and cultural immersion components, and the Puentes support is not 24/7 and in-person. Both Buenos Aires and Montevideo are wonderful jumping off points for domestic and regional travel. As the biggest Spanish-speaking country in the world, Argentina’s vast territory offers a variety of easy to reach, breathtaking destinations throughout the country – the stunning waterfalls of Iguazú, the colorful canyons and landscapes of Salta, the impressive mountains of Mendoza, and the thrilling ski slopes of Bariloche. From Montevideo, you can easily explore Uruguay’s other stunning coastal towns and vast interior, take a ferry to nearby Argentina, and do short flights to other Latin American destinations. Discover more about Buenos Aires as a destination and review the full program overview for our new Puentes in Uruguay internship program. If you have any further questions or doubts about which destination is the right fit for you, please sign up for a conversation or contact us so that we can tell you more about our cities and discuss internship choices for you. We’re very excited to set up a great professional and cultural immersion experience for you in Buenos Aires or Montevideo!